Democrat Wendy Davis' campaign for governor boasted that it outraised Republican Greg Abbott over the last few months and had hauled in $13.1 million. The actual reports, published online Wednesday, told a different story. 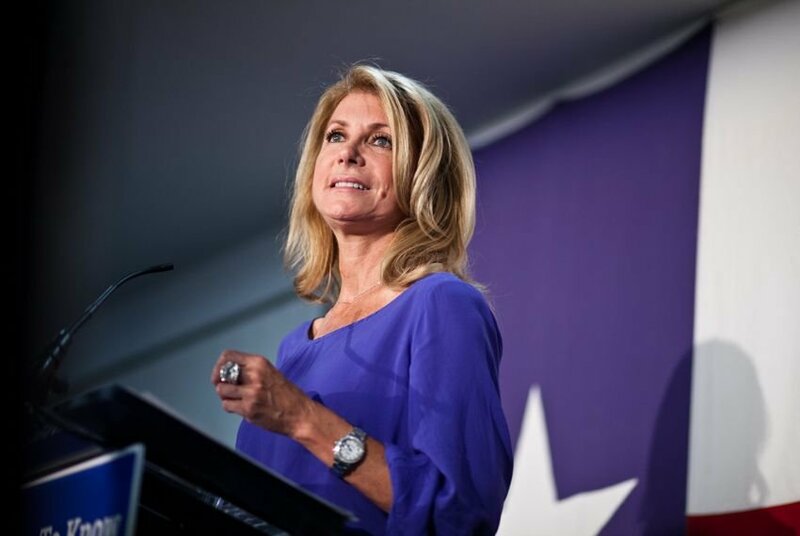 A day before fundraising reports were made public in the Texas governor’s race, the campaign of Democrat Wendy Davis boasted that the Fort Worth senator had outraised Republican Greg Abbott over the last few months and hauled in $13.1 million for their fall battle. The actual reports, published online Wednesday morning, told a different story. Instead of $13.1 million in cash on hand as claimed, the reports Davis and her allies filed show there was actually $12.8 million in the bank at the end of June, a difference of about $300,000. Meanwhile, the $11.2 million Davis claims she raised over the latest period — an amount she said was larger than the $11.1 million Abbott raised — contains over half a million dollars in non-cash “in-kind” donations and counts contributions that could benefit other Democratic candidates. One of the biggest sources of non-cash donations: a $250,000 in-kind contribution from country singing legend Willie Nelson. That’s how much the red-headed stranger told the campaign he would have charged for a free concert he gave at the senator’s Houston fundraiser, the campaign said. The lower-than-advertised cash figure and non-traditional accounting methods raise questions about how much money can be accurately attributed to Davis for the latest period, which ran from late February to the end of June. And it has left Davis open to criticism from Abbott’s campaign, which has already used the complicated math to slam her previously. Abbott reported a whopping $35.6 million in cash on hand for the same period, amassing what his aides are calling the largest war chest in Texas political history. Davis spokesman Zac Petkanas acknowledged that the figure the campaign gave for the candidate’s available cash on hand fell short of the $13.1 million it claimed in a press release the day before the reports were made public. But he defended the campaign’s unorthodox accounting and said the discrepancy would have no impact on the campaign. As for the Nelson concert, he said the campaign was required to report the value of the event and relied on the figure the singer gave the campaign. Davis has invited criticism in part because she counts money contained in four separate accounts — her campaign for governor, her old Senate campaign account, a joint fundraising operation and the Democratic turnout operation known as Battleground Texas. It was the cash-on-hand figure from Battleground Texas that came in lower than advertised. In the press release, the Davis campaign said Battleground would report $1.1 million in the bank. But Battleground told the Ethics Commission it only had $806,000 in the bank. In an email Wednesday, Battleground Director Jenn Brown cited a $300,000 payment for the group’s payroll that was being processed at the end of the reporting period. “On June 30, Battleground Texas had $1.1 million in the bank with July 1 payroll pending,” Brown said in the email. That payment was subtracted from the available cash figure in the reports on file with state authorities. Whether Davis should even be counting the money in Battleground’s coffers is a question that divides the Davis and Abbott camps. Davis and Battleground say the group’s cash-on-hand figure can be attributed to the senator’s fundraising efforts through the Texas Victory Committee. Republicans say it's not fair to count money from a combined field operation for a single candiate. That fundraising entity splits proceeds 50-50 between Davis and Battleground. Since Battleground runs Davis’ field operation, working on voter turnout across Texas, the Davis campaign has argued that money will be used for her benefit and should be counted as part of her campaign against Abbott. But Petkanas, the Davis spokesman, agreed that Battleground — set up long before Davis announced for governor — is also helping other Democratic candidates besides the Fort Worth senator.